Ascorbic acid is a water soluble antioxidant. Ascorbic acid is also referred to as vitamin C. The sugar acid, ascorbic acid, is white or pale yellow. The antioxidant is available in powder form or crystal form. Scurvy occurs in people from a lack of vitamin C. Vitamin C, the antioxidant, acts as an agent against free radical formation in the body. Free radical build up contributes to the aging process, as well as, cancer, arthritis and heart disease. Smokers are at particularly great risk for vitamin C deficiency because smoke depletes the amount of vitamin C in the body. Individuals suffering from vitamin C deficiency may develop dry or splitting hair, rough, scaly skin, gingivitis, and nosebleeds. Other individuals may suffer from slow healing wounds, bruises, and prolonged infections. 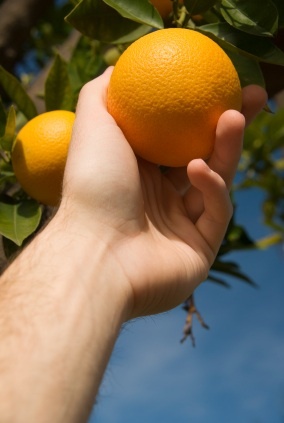 People with severe deficiencies will develop scurvy. Other conditions may develop as a result of vitamin C deficiencies, such as high blood pressure, stroke, cancer, atherosclerosis, gallbladder disease, and others. Vitamin C deficiencies may lead to plaque buildup in the blood vessels. Excessive build up may lead to stroke or heart attack. Experts suspect that increasing levels of vitamin C will prevent the risk of developing these conditions. However, the evidence relating to these matters are inconclusive. Experts have also suspected that vitamin C deficiencies could lead to depression and other problems. The name ascorbic acid originates from the word “scorbutus,” which means “scurvy” and “a,” which means “no.” The word means literally “no scurvy.” Walter Haworth discovered the ascorbic acid structure in 1937. At that time, ascorbic acid was referred to as hexuronic acid. He also won the Nobel Prize for the discovery. Later, Albert Szent-Gyorgyi was awarded a prize in Medicine for his findings related to the functionality of L-ascorbic acid. Linus Pauling and Dr. Willis later discovered that vitamin C levels for a long term period may cause atherosclerosis. Linus Pauling is a Noble Prize winning scientist who made these assertions. In Canada, certain health conditions have shown improvement as a result of vitamin C intake. In 2004, males consumed, on average, 133 mg of vitamin C per day and females consumed 120 mg of vitamin C per day. Each gender had higher than the recommended daily allowance. Incidences of scurvy were also reduced in this area. The essential nutrient, vitamin C, is present primarily in fruits and vegetables. Experts over time have noticed that vitamin C is sensitive to certain elements. Particularly, light, air, and heat are the most commonly cited sensitivities. Individuals who seek to gain their recommended daily allowance of vitamin C through foods should eat the fruits or vegetables raw or cooked al dente. Stir fry and other forms of preparation will preserve the nutrients and vitamin C content in the foods. Since vitamin C is water soluble, it must be replenished daily through food sources or a vitamin supplement. Ascorbic acid is responsible for producing a protein in the body called collagen. Collagen helps to maintain healthy teeth, gums, bones, blood vessels, skin, cartilage, and vertebrae. Ascorbic acid aids the body in the healing of wounds, cuts, and abrasions. The liquid form of vitamin C may be applied directly to the skin or ingested internally to aid with the healing process. The popular antioxidant also assists in regulating cholesterol, heart disease and high blood pressure. Ascorbic acid assists with these diseases by enlarging the blood vessels when consumed. Vitamin C assists the body with warding off infections. Additionally, vitamin C, similar to most antioxidants, fights free radicals associated with pollutants, such as tobacco smoke, smog and other known carcinogens. Vitamin C or ascorbic acid comes in a variety of forms. The popular antioxidant can be purchased in tablets, powder, capsules, and chewable vitamins. Other forms consist of a liquid and effervescent liquid form. The doses range from 25 to 1500 mg. Some individuals suffer from upset stomach after consuming ascorbic acid. For those individuals, an esterified form of ascorbic acid is produced. This form of vitamin C contains a buffer that alleviates the symptoms associated with heart burn. Helps alleviates symptoms of uveitis, which is the inflammation of the eye. Vitamin C improves vision in these sufferers. Treats eczema, asthma, hay fever or other conditions related to allergies. Experts suggest that since vitamin C is an antioxidant, it can lower the risk for heart disease. Since ascorbic acid is speculated to widen arteries and prevent the hardening of arteries or plaque buildup. Some studies show that vitamin C can prevent low density lipoprotein (LDL) or the bad cholesterol in the body. Many individuals who are at risk for strokes, heart disease, or peripheral artery disease should consider taking vitamin C on a regular basis to avoid the untimely events related to these diseases. The evidence is inconclusive that vitamin C is effective, but individuals who have consumed vitamin C on a regular basis seem to not have difficulty with these particular issues. Consult with a physician prior to consuming vitamin C on a regular basis to determine an appropriate regimen for your diet. Experts, who have conducted studies of large groups of people, indicate that people who consume foods with high levels of vitamin C have a lower risk of high blood pressure than people who do not include vitamin C in their diets. Physicians recommend that individuals consume foods that are rich in antioxidants. Fruits and vegetables carry a considerable portion of antioxidants and are a great source of vitamin C.
Many individuals speculate that vitamin C can cure a common cold. However, individuals who take vitamin C supplements seem to reduce the duration of the cold symptoms by approximately 1 day. Experts have studied individuals, who exercise in extreme environments, such as the Arctic. Skiers, marathon runners, and soldiers did seem to have fewer symptoms associated with a cold than their counterparts who did not consume vitamin C.
Experts have shown that vitamin C may reduce the occurrence of cancer in individuals. The popular antioxidant is associated with reducing incidences or skin cancer, cervical cancer and breast cancer. Foods rich in antioxidants and vitamin C seem to have the greatest effects of protecting against cancerous diseases. Vitamin C supplements appeared to have less of an effect. More studies need to be conducted to prove this finding conclusively. Once a patient becomes diagnosed with cancer, there is no evidence that indicates vitamin C will reduce the spread of cancer within the body. Some antioxidants, such as ascorbic acid, may interfere with chemotherapy medications. More research should be conducted to determine the benefits of ascorbic acid in cancer therapy. Consult with your physician to determine if vitamin C will enhance or inhibit cancer therapy treatments. Cartilage within the body consists of collagen along with other essential components. Vitamin C is necessary for collagen production. Sufferers of osteoarthritis, experience pain due to the destruction of cartilage. Free radicals are speculated in causing the destruction of cartilage. Vitamin C fights free radicals in the body and attempts to keep them from destroying cartilage and cause other diseases associated with vitamin C deficiencies. Individuals who adopt diets that are rich in vitamin C are more likely to avoid arthritis related symptoms. However, experts will not state conclusively that vitamin C supplements will prevent or treat individuals diagnosed with osteoarthritis. Those who are taking anti-inflammatory drugs that are non-steroidal may experience lower levels of vitamin C due to the body’s uptake of more vitamin C as a result of the drug. These individuals may want to consider taking a higher dosage of vitamin C through a vitamin supplement. Macular degeneration (AMD) is a disease that affects the eyes and eventually results in blindness in elderly over the age of 55. Vitamin C when taken in conjunction with zinc, vitamin E and beta-carotene seems to protect the eyes against the development of these types of diseases. The people who benefit most from this regimen are people with advanced stages of macular degeneration. The effectiveness of this particular regimen in prevention of macular degeneration and less advanced stages of macular degeneration is unknown. More studies are being conducted to determine the efficacy of this particular treatment. Pregnant women who are at risk for pre-eclampsia should consider a regimen of vitamin C, along with vitamin E. Women who suffer from pre-eclampsia often have high blood pressure and an excessive amount of protein in the urine. This ailment often leads to pre-term births. Some studies disagree about the role of vitamin C in the prevention of pre-eclampsia. Individuals who possess low levels of vitamin C are more likely to develop asthma. Some studies also show a lower incidence of asthma related to exercise. Studies are conflicting regarding this development. Further research must be conducted to prove the efficacy of this treatment in asthma. Individuals are recommended to take vitamin C supplements 2 to 3 times per day with meals. Some experts may even suggest between 250 and 500 mg twice per day for any benefit. To avoid unpleasant reactions associated with vitamin C, individuals are to take no more than 1,000 mg of vitamin C daily. Dosage amounts vary depending upon the age group and the lifestyle habits of the individual. Below the recommended daily allowances are listed for each group of individuals. In order to avoid related problems, individuals should consume the recommended dosage. Currently, there are no known countries that prohibit the use of vitamin C. The antioxidant is safe and is necessary for a healthy body. Individuals who consume a considerable amount more of vitamin C than the recommended daily allowance are at risk for nausea, skin irritation, diarrhea, copper depletion in the body, and may experience burning while urinating. Experts have also found that patients may develop kidney stones. Individuals who are also experiencing excessive levels of iron may need to monitor their intake of ascorbic acid. 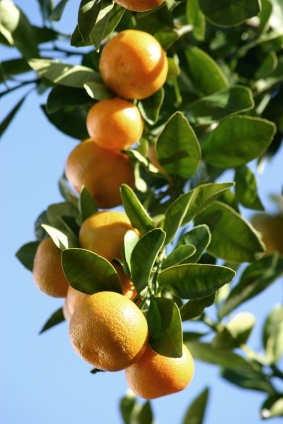 Excessive amounts of vitamin C have been associated with the development of genotoxins. Genotoxins are speculated to prompt genetic mutations. These genetic mutations may lead to the development of cancer. Ascorbic acid may interact with some prescription drugs. Consult with a physician or pharmacist prior to taking the drugs to determine if there is a potential for an adverse side effects. Individuals taking vitamin C supplements are advised to take them with plenty of water because of the diuretic affect of the antioxidant. Individuals who may have an allergic reaction to corn may want to seek an alternative source of vitamin C.
Many of the commercial supplements of vitamin C are made from corn. Experts may advise Sago Palm or other sources of vitamin C.
Experts have also found that vitamin C may also increase the amount of iron absorbed by food. Therefore, people with hemochromatosis, which is characterized by excessive iron accumulation in the body, should not take vitamin C supplements. Individuals who consume more than 2,000 mg of vitamin C daily may experience diarrhea, gas or upset stomach. Lower the dosage if you experience these symptoms. Consult a physician before taking vitamin C, if you have kidney problems. Pregnant mothers who consume more than 6,000 mg of vitamin C daily may develop scurvy when the vitamin C levels stabilize after birth. Before beginning a regimen, consult with your physician. People who smoke should consider increasing their levels of vitamin C to fight the free radicals produced by the carcinogens in cigarettes. Aspirin is known to lower levels of vitamin C in the body. This phenomenon occurs because the vitamin is expelled with urine from the body. Vitamin C may also raise levels of aspirin in the blood because ascorbic acid encourages both aspirin and non-steroidal anti-inflammatory (NSAIDs) drugs to remain in the system longer. Experts indicate that vitamin C may also play a role in protecting the stomach from becoming nauseous or upset. Consult with a physician before starting a vitamin C regimen if you take aspirin on a daily basis. Individuals who consume high doses of vitamin C may experience high levels of acetaminophen in the blood. Vitamin C inhibits acetaminophen from exiting the system through urine. Experts have indicated that vitamin C may increase the amount of aluminum the body absorbs from antacids, such as Maalox. This may increase any side effects that may be associated with the drug. Experts have found that barbituarates may have a negative effect on vitamin C.
Many antioxidants may interfere with chemotherapy. Vitamin C may help the efficacy of chemotherapy according to some oncologists. Consult with your oncologist prior to chemotherapy to determine if a vitamin C regimen is recommended for your particular treatment. 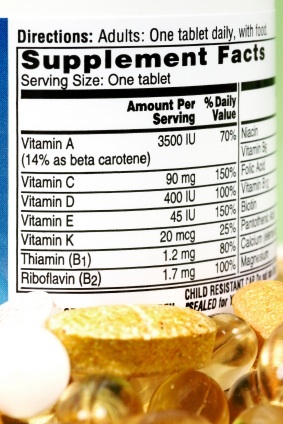 Nitrate medications, such as nitroglycerin, isosorbide, and isosorbide dinitrate, if taken in conjunction with vitamin C may become ineffective in the body. Vitamin C increases the body’s ability to develop a tolerance against these medications. Always consult with a physician prior to consuming vitamin C along with nitrates. Vitamin C may increase estrogen levels in individuals taking oral contraceptives and even, hormone replacement therapy (HRT). The levels seem to increase more in those individuals who had a deficit in vitamin C prior to taking oral contraceptives. Vitamin C effects may also increase if a person begins to take oral estrogens. Individuals taking indinavir or Crixivan for HIV or AIDS may notice decreased levels of the medication in the blood after the consumption of vitamin C. Consult with a physician prior to combining a vitamin C regimen with indinavir or Crixivan. Individuals taking tetracycline, an antibiotic, may notice increased levels of the medication when taken with vitamin C. Other antibiotics, such as minocycline and doxycycline may also be affected. Consult with a physician prior to beginning a vitamin C regimen. Warfarin is a blood thinning medication that rarely has interactions with vitamin C. Experts have studied the effects of vitamin C up to 1,000 mg per day. This dosage of vitamin C caused little or no effect on the warfarin medication. As with any medication, consult with a physician prior to beginning a regimen as a safety precaution. Vitamin C can be purchased at any health store, pharmacist, or online health store. Most of the stores will carry the capsules and caplets. The powder and liquid are most often found at stores that specialize in health, such as GNC. Consumers may want to research online before going to a store to purchase the product to determine if the form of ascorbic acid that the consumer desires is in stock. The cost of ascorbic acid ranges depending upon the form that it is purchased. The supplement forms of ascorbic acid will vary in price depending upon the amount of product purchased, the form, the weight of the capsule or pill, and the store in which the item is purchased. Many times online stores will have discounts such as 20 to 50 percent off or Buy One, Get One. Search online to find these types of deals. Vitamin C may also be combined with Rose Hips or Quercetin in order to give the consumer the added benefit of another herb or mineral. Is ascorbic acid another term for l-ascorbic acid? are they the same?